Following my branding work on the Blavatnik School of Government's Challenges of Government Conference 2013, I was invited this year to create branding an asset for the 2014 Conference. 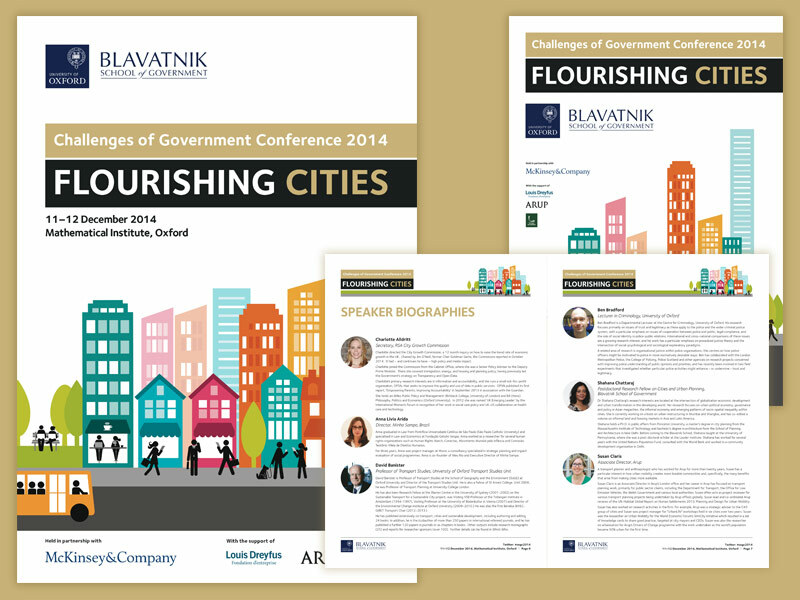 The theme for 2014 is 'Flourishing Cities', and I created a branding style to work within the Blavatnik School of Government's existing identity. This was rolled out across booklets, stands, posters, slides and online, with full artwork and templates for internal staff usage being delivered.